ArielCRM for Services aims to provide excellent solution to the service Industry. Our organization is one of the leading supplier of Jewelry Manufacturing & Sales Management Software. Our provided Jewelry Sales Management Software is developed by our most skilled professionals to provide maximum satisfaction to our most valued patrons. Moreover, software is attainable at market leading rates. Ezee PI is a Purchase and Inventory management software designed specifically for medium and small size enterprise to efficiently and easily manage inventory, suppliers, purchase invoice, Quotation, Sales Invoice etc. Our Online BackOffice Management software is effective and simple to manage also help to run your restaurant and Takeaway in a timely and efficient manner. - Sales Enquiry, Quotation Management. - Sales Order processing and Bill of Materials. - Packing and Delivery Schedule. - Material Dispatch and Documentation. LeMAX SMS is an independent application that enables the entire sales process/activities to be automated. 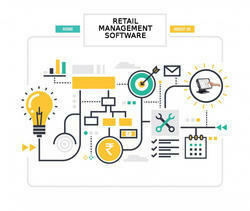 This automation of sales activities includes Master Data Creation, Sales Invoice Creation, Sales Return Entry, Cheque Entry, MIS Reports Generation etc. Sales Invoice is enabled with 20 Barcode which will have the details of invoice that helps the customer to automate GRN entry. Cratio Sales CRM software helps businesses manage sales. The software includes Lead Automation, Lead Management, Sales Pipleine Management, Sales Quotation, Sales Calls, Visits, Email/SMS Reminders, Reports Mobile App. 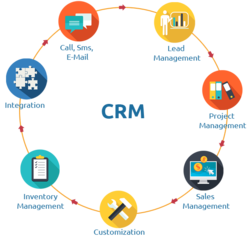 - Best Price, All CRM Features, Better than Other CRM's. Easy GPM provides features to track record from buying the block and process it with external consultant/processing unit. Supports Sales billing and track of block to slabs and the sales of slabs with stock location.